La Pergola is the only restaurant in Rome to hold three Michelin stars and is probably the most famous restaurant in the eternal city. 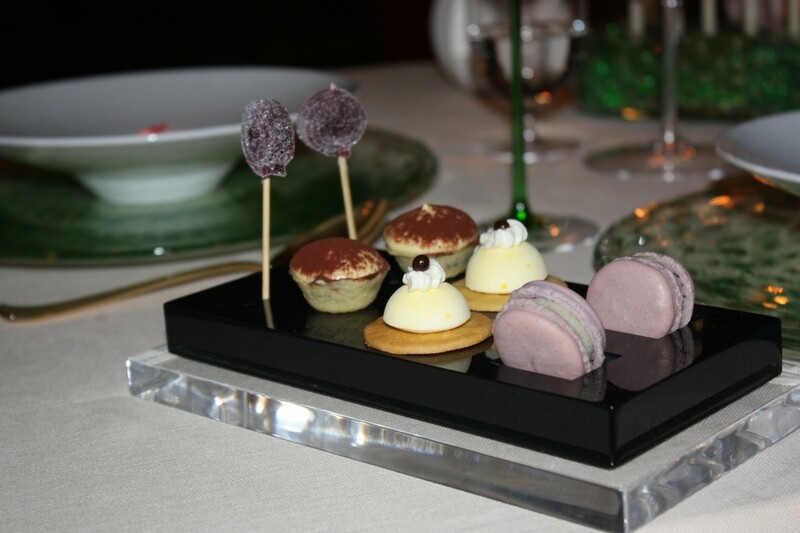 The restaurant is located on the top floor of the Cavalieri Hotel, which is part of the Waldorf Astoria Group. Perched on a hilltop in the Montemario area, the restaurant affords gorgeous views of Rome and the Vatican. Executive Chef is German-born Heinz Beck who has been at the helm of La Pergola for the last 18 years. One of the most respected chefs in the world, there have often been attempts to persuade Chef Beck to export his La Pergola brand to cities such as New York and Tokyo in the same way that other famous chefs such as Alain Ducasse and Joel Robuchon have done. Thus far, Chef Beck has resisted all calls with the exception of London. Apsley’s at The Lanesborough Hotel is his only subsidiary restaurant. La Pergola is a magnet for the rich and famous. It famously hosted Michele Obama and Sarah Brown during the G8 summit in 2009, and it was reported that the First Lady claimed that her meal at La Pergola was the best of her life. 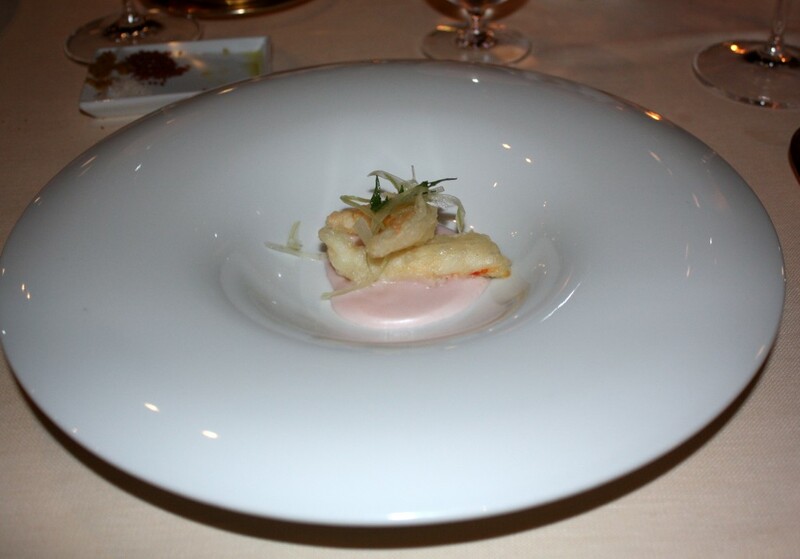 Prices are not cheap however, with a six-course and nine-course tasting menu priced at €190 and €210, respectively. Where relevant, the a ala carte prices have been listed in brackets below. 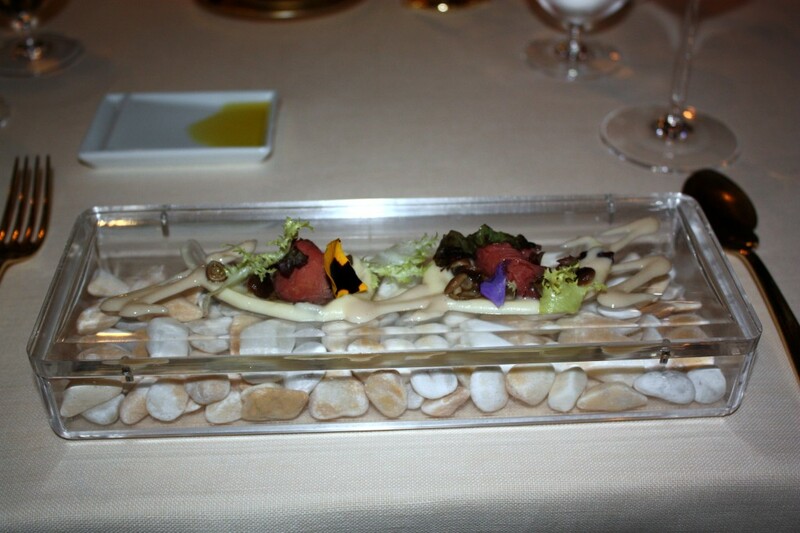 Going for the nine-course menu, we started with an amuse bouche of beef carpaccio which was tender and tasty. It came with a hint of coffee powder and a deliciously light cappuccino cream. Breads included brown with sunflower, white with sesame and a focaccia which were all lovely. Olive oil and a selection of salts were available for trying with the bread. These included an Icelandic salt with lava, a Norwegian salt smoked with fine herbs and black pepper, and a white Sicilian salt. 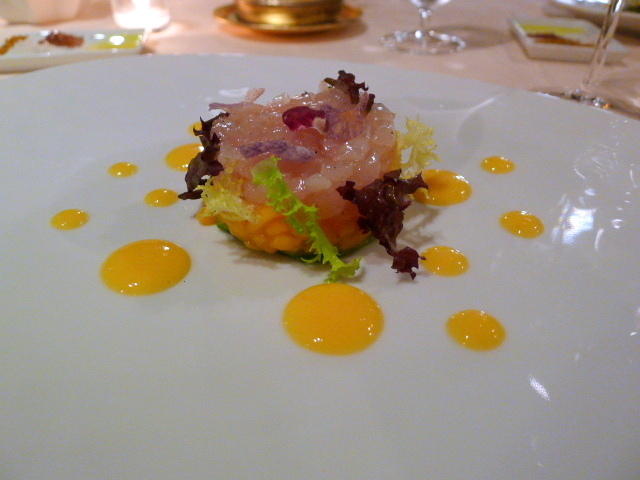 Amberjack tartare (€42) was the first course. 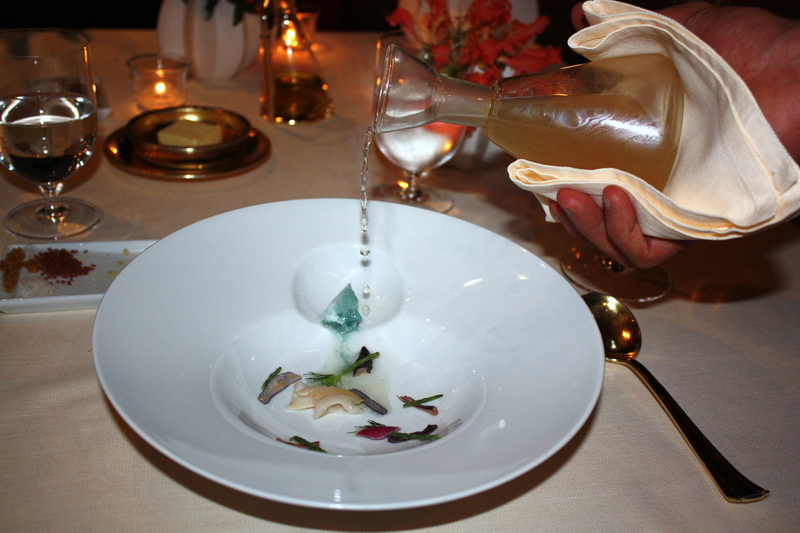 It was beautifully fresh and came with a lovely and delicate peach cream that worked beautifully with the fish. Also as accompaniment was some avocado that unfortunately was not quite ripe enough. The dish was pretty as a picture. Lobster gratinated with spicy Pata Negra ham (€62) was succulent and sweet and gently seasoned by the saltiness of the ham. 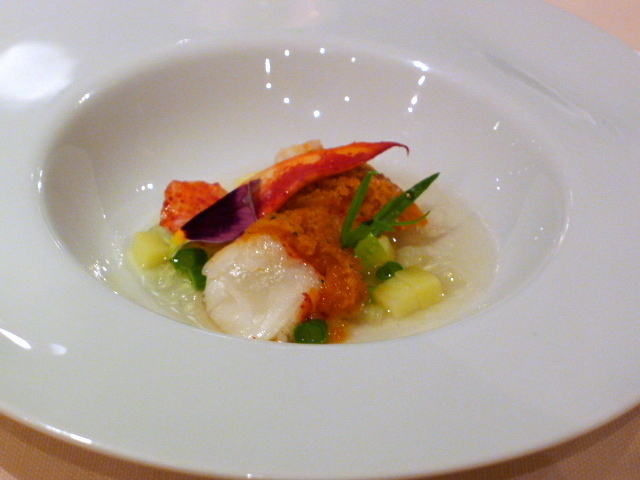 It was served on a cold gazpacho of celery and green tomatoes that provided an interesting contrast. 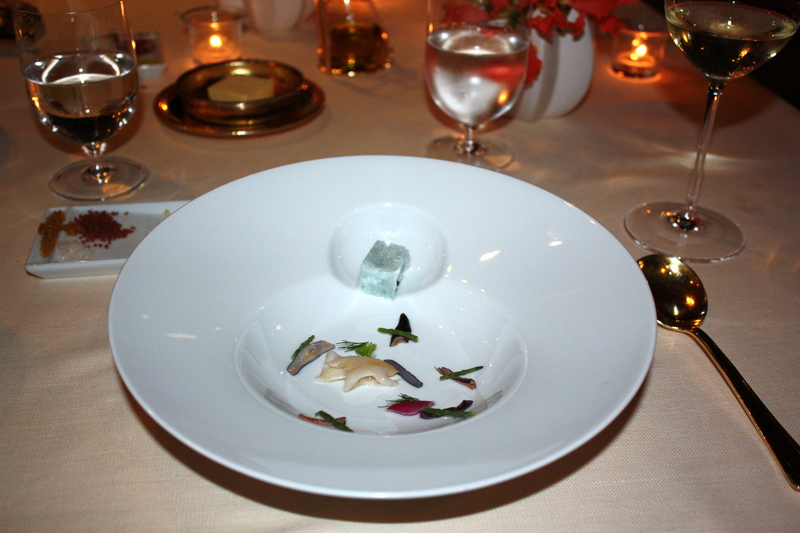 ‘The Sea’ was the highlight dish of this menu. 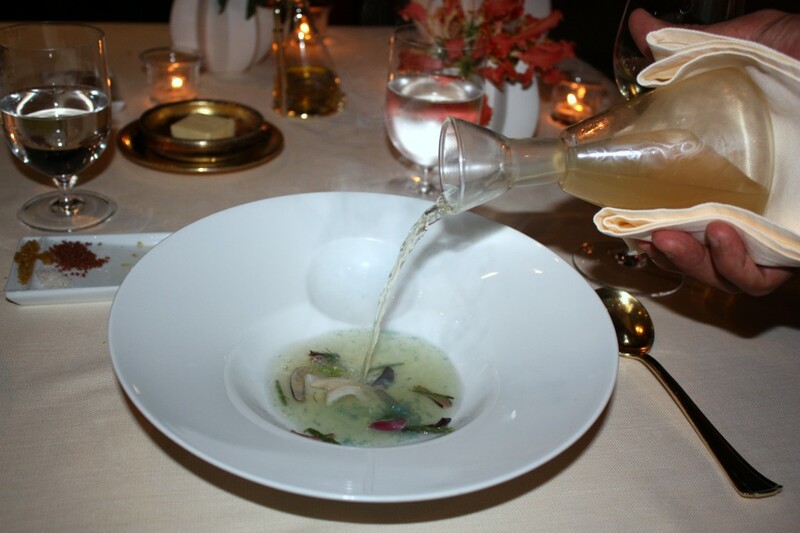 The basis of this dish was a scampi consommé poured at the table. 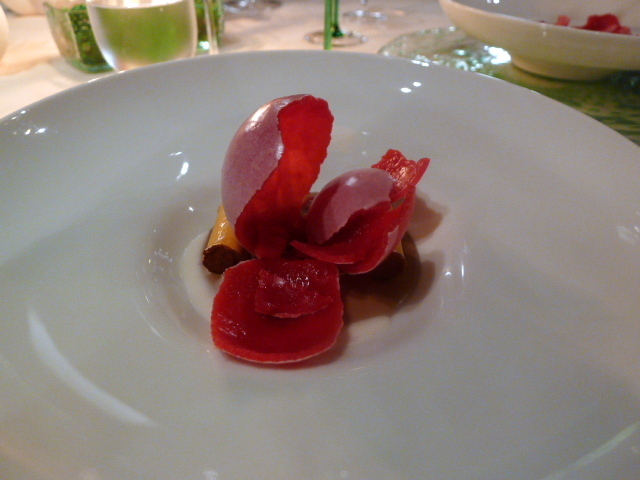 Beautifully made and intense with flavour, it was also subtle at the same time, a juxtaposition difficult to achieve. Sweet, meaty Venetian clams, crunchy baby samphire and aromatic dill made up the rest of this highly fragrant, beautiful ‘sea’ dish. Carbonara fagotteli (€47) is Chef Beck’s signature dish, and the first time I tried it at Apsley’s I was blown away by this fabulous pasta. Inside each fagotteli parcel is a melt-in-your-mouth carbonara sauce that lends itself to an explosion of delicate creaminess as you eat each one. This fagotteli was as wonderful as ever, although the fabulousness of eating it for the very first time can never be beaten of course. So airy was the experience, it was akin to eating light little parcels of cloud. A king prawn tempura was beautifully cooked and deliciously sweet. It came with some crispy celery and a fried squid puree which was interesting for both its ‘fried squid’ taste and creamy texture. 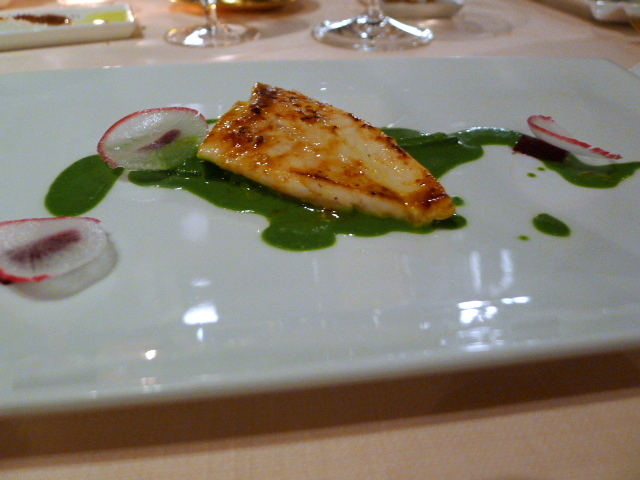 John Dory (€56) was moist and flavoursome and came with a basil cream with a hint of curry. There was a lovely balance between the fish and the cream. A well-judged and refined dish. Slow cooked lamb was accompanied by grilled aubergine, tomato sauce and salted ricotta. The lamb was meltingly tender and tasty. 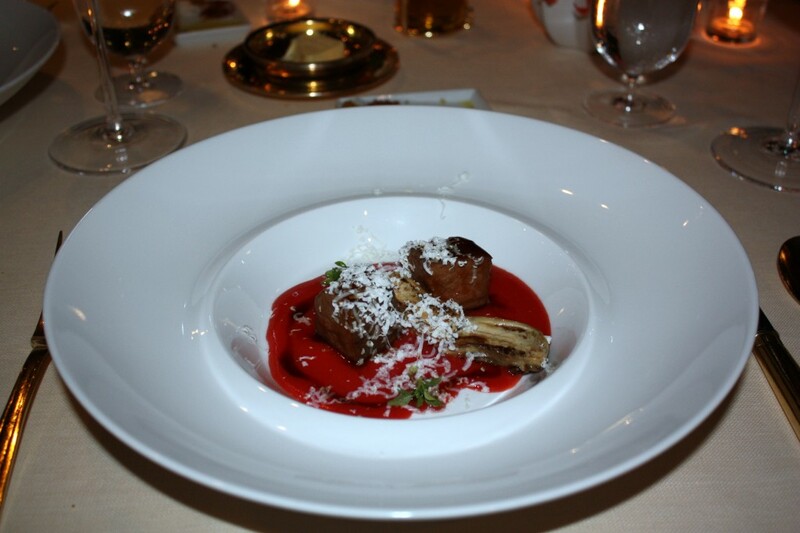 With its Mediterranean overtones, this dish was a very Italian, but the cheese tasted odd with the lamb. 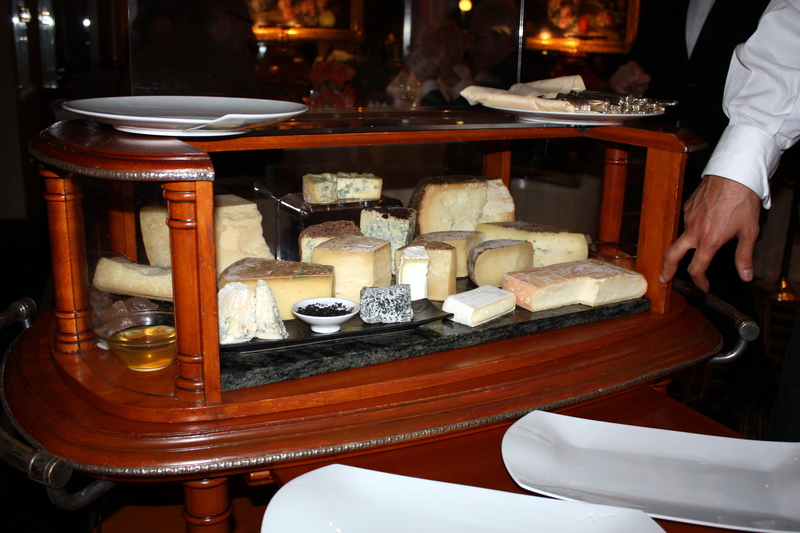 The cheese selection (€25) was amazing. All Italian, particularly tasty were the blue cheese options. Pre-dessert was a coconut, banana and lime sorbet that was lovely and cold, and which came with a pineapple brunoise infused with vervaine. The aromatic infusion was amazing for it was subtle with only a hint of fragrance. 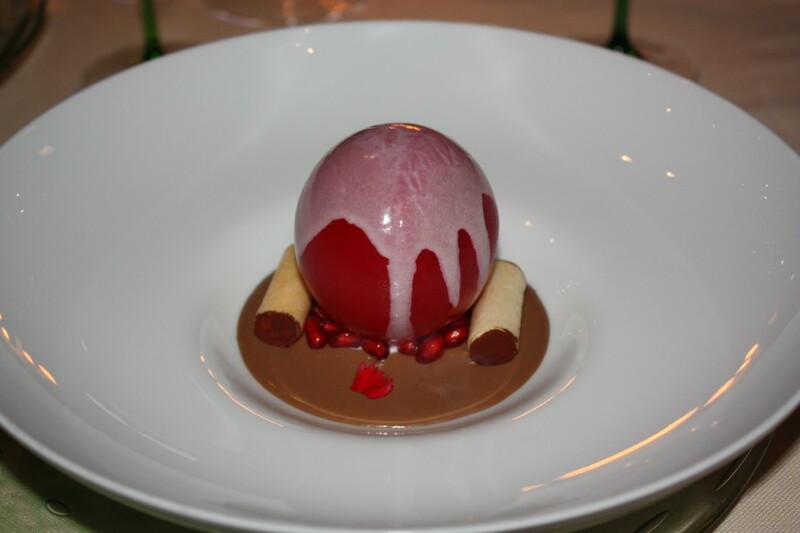 Dessert was an iced pomegranate sphere which was hollow inside. Accompanied by a gianduja cream and pine nut chantilly cannoli, the icy coldness of the sphere made for an interesting contrast with the cream. 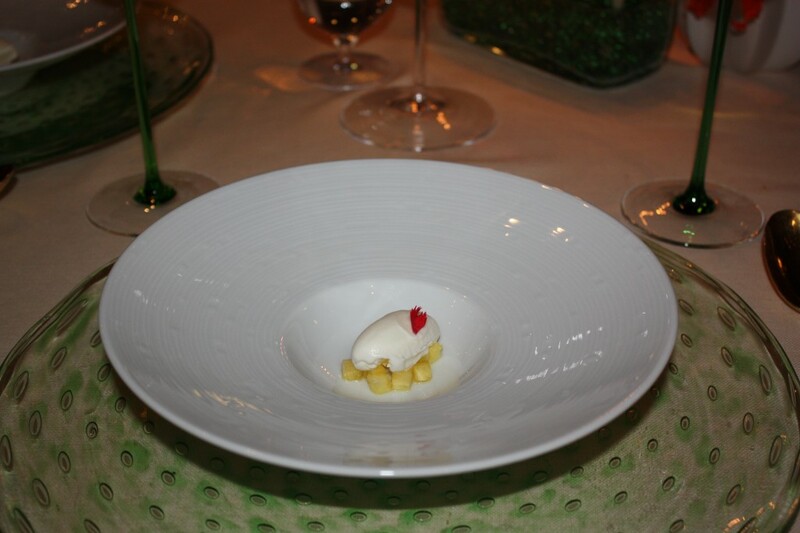 Presentation wise, this was an extremely striking dessert. When Chef Beck’s later did the rounds of the tables after service (a gesture that I applaud in a Michelin Chef), it was interesting to discover that he is a strong advocate of healthy eating. Accordingly he has been involved in conducting a number of medical studies at Rome’s La Sepienza University on a variety of healthy eating topics. Therefore his menus are designed to not only taste good, but be nutritional and balanced as well. Clever. Indeed, I did not feel over stuffed after eating his tasting menu. The most striking aspect of this menu was Chef Becks astonishingly delicate touch, perhaps the lightest I have ever experienced at a Michelin restaurant. 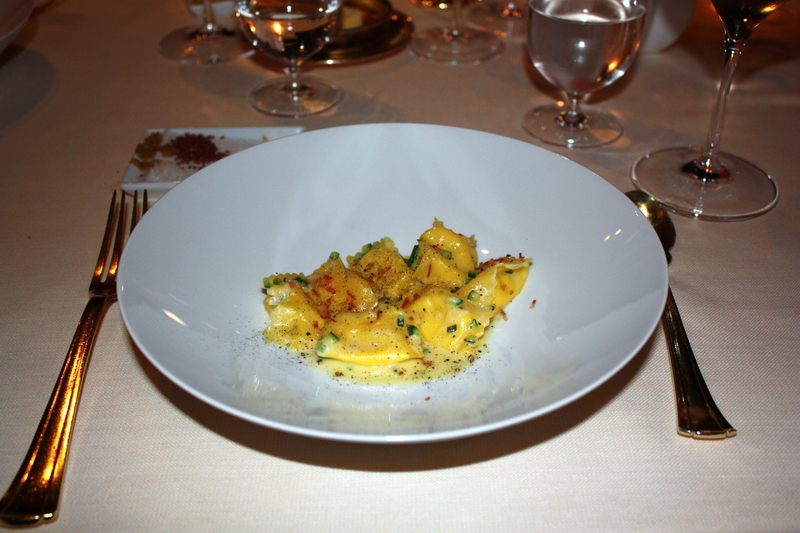 This menu was classy and classical, a striking contrast to the eclectic modern approach at two-starred Michelin Il Pagliaccio. 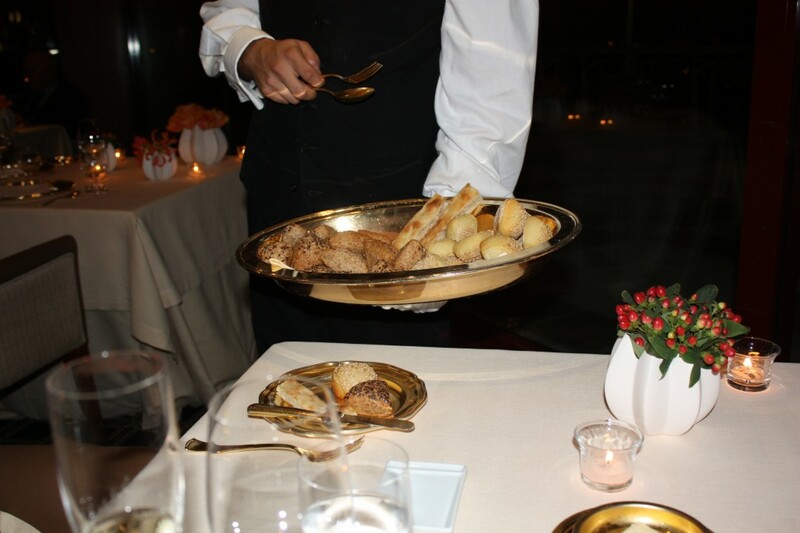 La Pergola is the kind of restaurant you go to for flawless, wait-on-you-hand-and-foot-type service with top-end food for an all round five star experience. Three courses from the a la carte menu ranges from €120 to €220. A six-course and a nine-course tasting menu is priced at €190 and €210 respectively. Great post. Just hope the restaurant give you a discount for such a wonderful write up. Hey Dave, what can I say other than we had a really good night! But yes this is not a cheap restaurant. Its the type of place you go for a special occasion or a special treat.